Posted by Mutantgun in Fallout 76 Character Builds. Heavy Gunner / Power Armour / Tanking / Lock Picking / Hacking – Basically a Heavy Gunner, power armour build that you don’t need to swap perks around for if you want to do normal gameplay, such as clearing out locations etc. This build allows you to be the best Heavy Gunner with power armour you can be, without making it annoying every time you need to pick a lock or hack a terminal. I will be explaining my reasoning behind each perk card in the section below. Posted by ESO in Fallout 76 Character Builds. This build by YouTuber ESO – Fallout & Elder Scrolls Guides is perfect when you start fresh in Fallout 76 and want your character to be strong in melee combat. Above you see the build how it looks like after level 10. 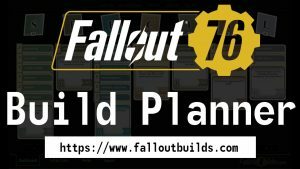 According to ESO the build is a solid foundation to go any way with it. If you want to go leveling from here he recommends investing in Strength and getting Expert Slugger and Master Slugger. 5 posts, last by paowee 5 months ago. Posted by Bradley in Fallout 76 Character Builds. For the lone wanderer who likes using the rifle (can be interchanged with the shotgun or pistol ofcourse) and needs to explore everything. Posted by Beattz in Fallout 76 Character Builds. The main point of this build is to easily be able to switch between just about any type of weapon and also use them effectively, so you have a lot of options to kill your enemies with. -Maxed out strength and perception allows you to freely switch between shotgun, heavy weapon, melee, rifle, automatic rifle and explosive perks whenever you want. Posted by TheFalloutMedic in Fallout 76 Character Builds. Posted by Ryancs in Fallout 76 Character Builds. This build is all about doing as much dps as possible using criticals focused around pistols. Mysterious Stranger is going to be swapped for Critical Banker if it is confirmed. Posted by Daniel Dowd in Fallout 76 Character Builds. Posted by freshd9 in Fallout 76 Character Builds. 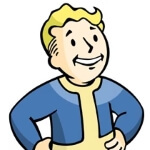 For me, the biggest joy when playing Fallout is and has always been looting and crafting. And what can be more annoying than a locked safe or a locked terminal above your level? Or some junk you cant carry? Or a weapon you cant craft? This perk card guide is for all you people out there who get the shivers (like i do) when not being able to do or access something they want. Or like they say now adays: for all those guys and girls with fomo (fear of missing out). Posted by Salvation78 in Fallout 76 Character Builds. Operation Alpha Strike the quest for maximum damage in a single hit 35 STR and 201% increased damage! the goal here is to maximise our damage output with a melee weapon and to implement it in a way that is feasible. Posted by HappySlapp in Fallout 76 Character Builds. A build designed around getting your Strength as high as possible, you can theoretically reach a maximum Strength of 34 by taking a dose of Psychobuff and drinking a Whiskey (which will give you +6 STR because of Party Boy/Girl) but that’s if you have the Herd Mentality mutation. Personally, it would be better to get the Twisted Muscles mutation. Posted by Bayne lawl in Fallout 76 Character Builds. OK, so this is the final iteration of my build after reading and watching lots of stuff to try to learn efficient ways to spec. The fact that you cannot re-spec your characters S.P.E.C.I.A.L. points is unfortunate and for me at least it means I have to pre-plan everything because that’s the way I am haha. I would very much appreciate any and all suggestions, critiques or constructive criticism. Enjoy!